Last week, we studied the discourse between Jesus and the Pharisees regarding Abraham. These Pharisees didn’t realize that they were sinners in need of God’s grace and truth in Christ Jesus. Jesus tells them that if they are Abraham’s descendants, they would do as Abraham did. 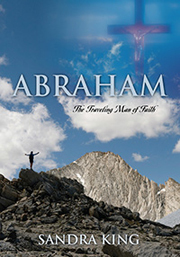 Abraham was a chosen, committed, faithful, courageous, obedient follower of God. Abraham was not perfect as we are not perfect. Abraham sinned at times by not doing as God had instructed him, but he was more faithful than not! Jesus’ is called Faithful and True in Revelation. He is Faithful even when we are unfaithful. Praise God! Jesus reveals that He is the Light of the world, but these Pharisees rejected the spiritual Light Jesus, so they remain in spiritual darkness. Without Jesus there is no spiritual light. There is none so blind as he who will not see. Jesus will use a “natural” circumstance to illustrate His spiritual truth. He will heal the man who was born blind, and will use his blindness to bring glory to God. As Jesus was passing by, He saw a man blind from birth. John 9:1 This blind man couldn’t see Jesus, but Jesus saw him! This man was destitute and an outcast. He couldn’t work because of his blindness so he had to beg. The Pharisees and others would look down upon this outcast. Little did the Pharisees who want to murder Jesus know that they were more destitute and blind than this poor man. Theirs was a spiritual blindness. Jesus will give this man physical light (sight) as well as spiritual light. He will not only have his physical sight restored, he will see the glory, grace and truth of God in the face of Jesus. At the time of Jesus, the Jews believed that suffering was caused by sin. Jesus’ disciples asked Him, “Rabbi, who sinned, the man or his parents, that he was born blind?” Jesus responded, “Neither this man nor his parents sinned, but this happened so that the work of God might be displayed in his life.” John 9:3 Jesus will use this man’s blindness to show the glory and grace of God. The prophet Isaiah said that when Messiah comes, the “the blind see and the lame walk; the lepers are cleansed and the deaf hear; the dead are raised up and the poor have the gospel preached to them.” (see Isaiah 29:18; 35:4-6; Psalm 22:26; Isaiah 61:1) Jesus used the Older Testament scriptures to prove that He is indeed who He says He is because He is fulfilling the Older Testament scriptures in their “seeing” and in their “hearing.” Jesus was speaking to His Jewish disciples and the Jewish Pharisees. They should have recognized this because they were well-schooled in the Older Testament scriptures. When we receive Jesus into our lives, the work of God can be displayed in our life. According to our willingness, Jesus will transform us progressively to be more and more like Him. Jesus continues, “As long as it is day, we must do the work of Him who sent Me. Night is coming, when no one can work. While I am in the world, I am the Light of the world.” Jesus is telling His disciples that while the Light is in the world, they must do God’s work. Darkness (night) is coming when no one can work. Jesus is speaking of the darkness that will come when He is crucified. (see Matthew 27:45) As long as the Light of Jesus is in the hearts and lives of His followers, we are to do God’s work. We are in a world full of darkness. As God was revealed in Christ Jesus, Jesus is to be revealed in and through us. Jesus does an unusual thing. “He spit on the ground, made some mud (clay) with the saliva, and put it on the man’s eyes.” Spiritually, the water of His mouth represents the Word of God anointed by the Holy Spirit. Jesus is doing a creative work in this blind man. In the beginning, God created Man/Adam out of water and dirt making clay. God lovingly and carefully shaped and formed Adam into a full-grown spiritual Man out of clay and breathed the breath of life – both physically and spiritually – into him. Jesus is doing a creative work of God in this blind man. He will heal His sight both physically and spiritually. He will physically come out of darkness and he will gain spiritual sight because He will see Jesus and receive Him as His Savior and Lord. Another use of clay in biblical times was sealing documents. An important document would be sealed with 7 seals made of water and dirt. If someone tampered with the document, the seal would be cracked or broken. In essence, Jesus could also have been sealing this man as His own not to be tampered with. Mankind who is made of clay mixed with the Anointed Word of God will receive spiritual sight. We belong to Jesus and the devil is not to tamper with us. Then Jesus tells the blind man to “Go wash in the pool of Siloam. (this word means sent).” So the man went and washed and came home seeing.” John 9:7 In literal blind faith, this desperate, blind man obeyed Jesus and went to the pool of Siloam to be cleansed. He came home seeing. Siloam means “sent.” The Sent One of God – Jesus – sent this man to wash in the pool of living water. The pool of Siloam is fed by the Gihon springs. Hezekiah dug a tunnel from the Gihon springs into the city of Jerusalem to provide water to the land. Josephus describes the pool as “sweet and abundant.” It is the pool where the water moved when the Angel touched it, and the first one into the water was healed. This “living, moving water” will cleanse this blind man and he will be made whole. Obedience to Jesus’ Anointed Word that cleanses restored this man’s physical as well as his spiritual sight. This living water cleansed the blind man as we are cleansed by the sweet, abundant water of the Word and Holy Spirit.